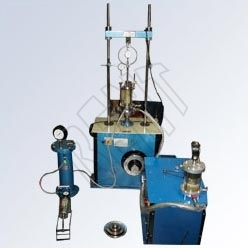 The Triaxial Shear Apparatus is an important component of soil testing equipment. It is mainly used for measuring the mechanical properties of soil and various other granular materials and powder. Besides, being one among the well-acclaimed Standard Triaxial Shear Apparatus Manufacturers, we also stand among the reputed Suppliers all over India.